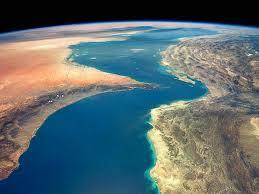 The Arabian Sea and the Persian Gulf are connected by the Hormuz Strait. It is the only sea passage from the Persian Gulf to the open ocean and is one of the world’s most strategically important choke points. The Arabian Sea and the Persian Gulf are connected by the Hormuz Strait. It is the only sea passage from the Persian Gulf to the open ocean and is one of the world's most strategically important choke points.